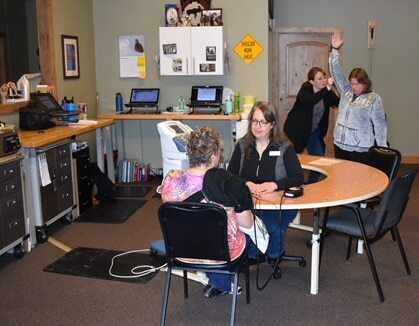 Canyon Therapy is a free-standing outpatient occupational and physical therapy clinic located in Cody, Wyoming. At Canyon Therapy, the team provides physical and occupational therapy health care services that work with patients to reduce pain, improve function, and increase strength and mobility. It can be performed prior to surgery, or after. Their physical and occupational therapists also work with each patient to develop a specific plan in order to aide them in reaching their individual goals. Their therapists can provide patients with results oriented treatment in many areas. People across the Big Horn Basin rely on Canyon Therapy for their pre and post-operative care. 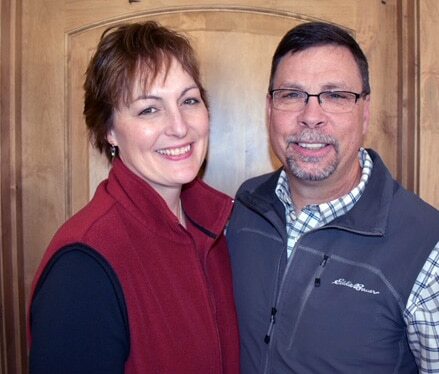 In 2011 Allison made her dream come true and opened Canyon Hand Therapy, along with her husband Beau. Allison Tipton was a participant in one of the first Cody Business Boot Camp programs of which the Small Business Development Center was a founding partner.  As a result of learning about the SBDC services, the SBDC provided the business with some benchmark financial information for their industry that their business manager used to analyze the financial statements more in-depth. The Market Research Center performed a website optimization for the business in early 2016, and shortly thereafter they had regional director Bruce Morse do a Financial Health Check-up. The company plans to revisit this after their 2017 financial information has been finalized. Recently, they have discussed internal communication and possibly other professional development opportunities from a business vs. medical standpoint. The company has shown steady growth since inception in terms of both gross revenue and net profit. The owners have taken a ‘slow and steady’ approach to accomplish this growth. They are strategic in assessing return on investment of any new equipment and additional staff, basing the decision on the market demand. As a way to give back, Allison presented at an Innovention Boot Camp program held in October of 2016 to share her business journey and experiences. Allison Tipton grew up in Casper, Wyoming. She attended Northwest College in Powell, transferring to the University of Wyoming where she received her bachelor’s degree in Psychology. She then graduated magna sum laude with a BA in Occupational Therapy through the University of North Dakota. Alison and Beau worked across the state of Wyoming including stops in Rock Springs, Riverton, Saratoga, and Rawlins. The family moved to Cody in 2001 to take advantage of the opportunities offered in the Big Horn Basin. She pursued her hand therapy certification to better serve the people in the community. Allison has been a certified hand therapist since 2002. “I’m blessed to be doing what I was put on this earth to do” Allison said. She loves to spend time with her family, to fish, spend time outdoors, read and play cards. Beau Tipton is a physical therapist assistant practicing since 1999 with a variety of experiences including hospital-based care and outpatient therapy services. Beau’s professional interests include: outpatient physical therapy, post-operative orthopedic care especially joint replacements and balance re-education. He enjoys hunting, fishing, and spending time with family. The company provides free, fifteen minute consults to community members to assess physical concerns and determine if there is a need for therapy. These consults often result in the person being provided with education regarding recovery options including exercises and pain management techniques that can help them avoid costly doctor visits. 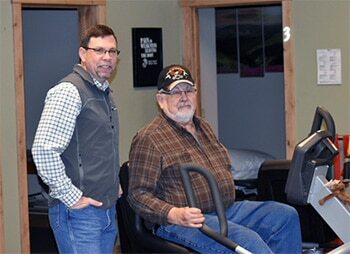 Canyon Therapy has also been involved in helping the Heart Mountain Medical Clinic. The clinic provides free basic medical are for eligible, uninsured members of the community. They have worked with the clinic since its inception to provide therapy services to this portion of the community. They also support Serenity Pregnancy Resource Center, Reboot Recovery – a PTSD recovery program, and a variety of local school and sports programs. Click on the “success stories” to the right to learn how other Wyoming businesses have succeeded in the Cowboy State.